Whether you're already in business for yourself or you dream of one day having your own photography studio, there are plenty of things you can do to set yourself up for success. One of those things is to devise a solid business plan that outlines each step of the process, from coming up with a business name all the way through implementing your plan and executing your goals. Naturally, you need to have the artistic and technical chops to create gorgeous photos as well. Another thing you can do to make your success more likely is to stay up-to-date with products and services that can make your life easier. 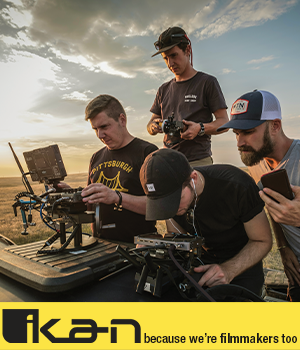 From adding unique products to your packages to handling the books to marketing your business, every facet of your business can be enhanced simply by keeping your finger to the pulse of what's new (and what works) in the world of professional photography. 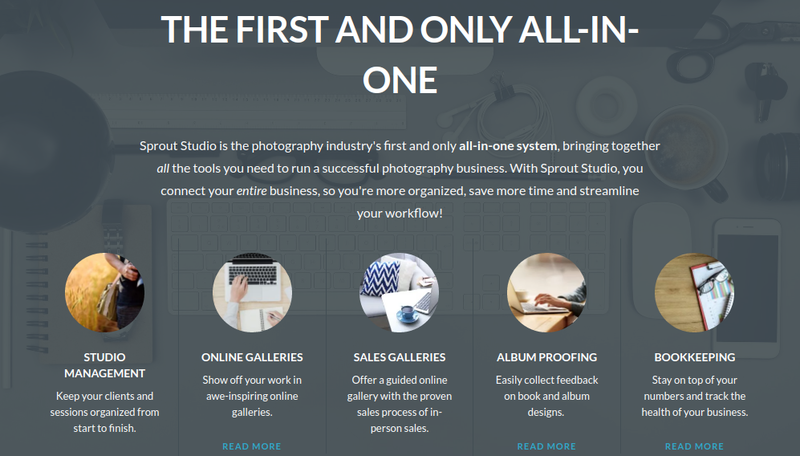 With that in mind, allow me to introduce you to three unique products and services that will help you build a more successful photography business. One of my favorite new companies is Hanging Branch, an outfit that wants you to deliver more than just photos. They help you do that by offering you impeccably crafted wooden boxes to serve as vehicles for presenting prints to clients and enticing them to spring for more products and services, which improves your bottom line. I know that "wood photo box" doesn't necessarily sound all that great, but trust me, this is not just any old box. Hanging Branch strives to build photo boxes that are worthy of presenting your work. 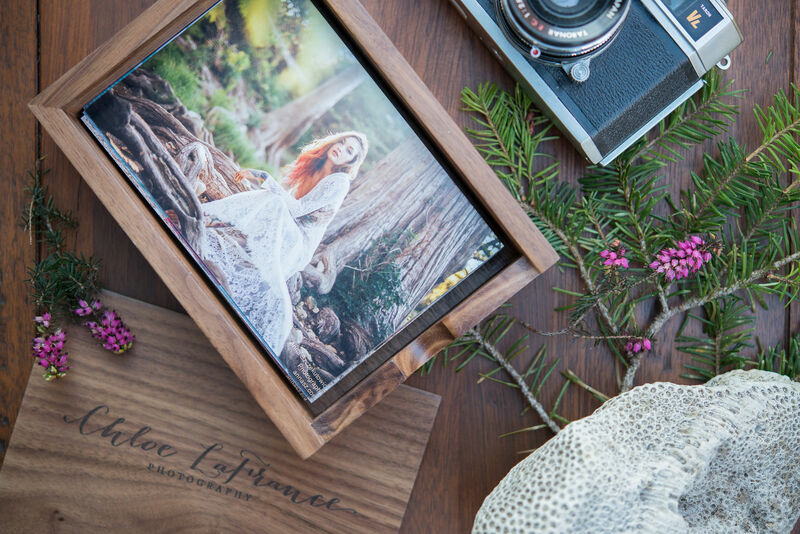 That means that as much time, energy, effort, and love as you put into your images, Hanging Branch does the same with their wooden photo boxes. One look at the product images above and below demonstrates their commitment to craftsmanship. You can meet with your clients and show them their images on a computer screen - a cold and unfeeling process that might leave your clients wanting. You can also show up with a pile of prints, which although more of a tactile experience than viewing images on a screen, is lacking in the presentation department. That's where a wooden photo box comes in handy. Think of it like the gorgeous, gold-lined envelope that holds the card with the winner's name at the Oscars - it's all about presentation. 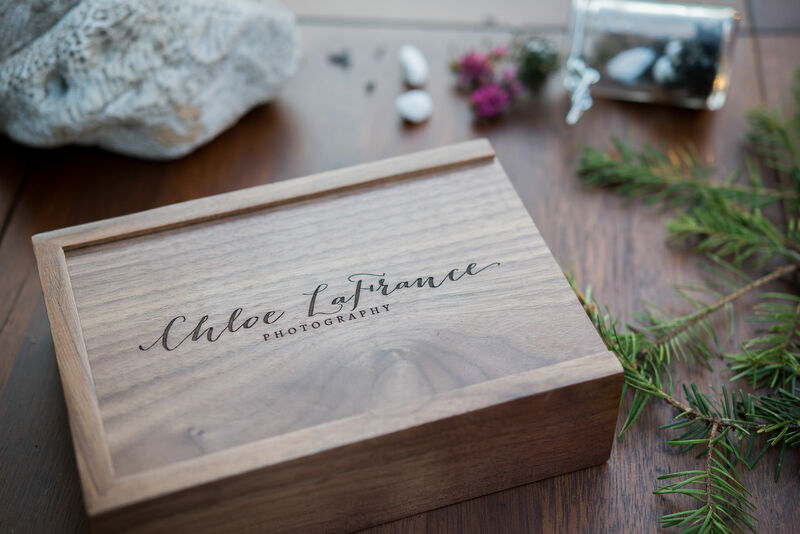 Your clients will see a gorgeous photo box constructed of walnut or maple (leather is available too) that sets a beautiful stage upon which you can reveal their images. The boxes are sanded smooth and covered with a clear coat for a stunning, durable finish. Inside your clients will find up to 100 prints ready for viewing. Even better, you can add engraving to both sides of the box lid. Have your business name or logo added to make each box a miniature marketing tool, or opt to have your client's name engraved on the box for a more personal touch. 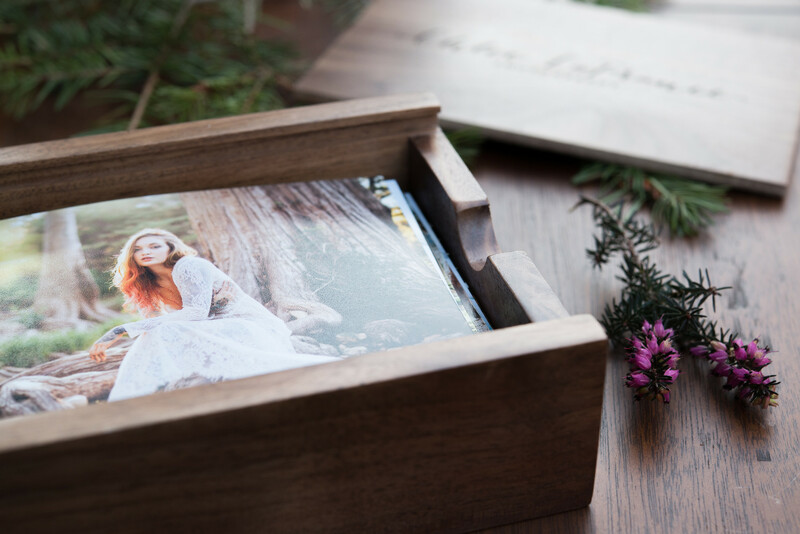 Either way, it's hard to present your images to a client in a more personal and beautiful manner than a handmade, engraved photo box! Not everything you do as a photographer is done on the "front end," meaning, many of your daily duties will occur outside the realm of taking or editing photos or interacting with clients. And, like a lot of creative professionals I know, doing bookkeeping and organizing a calendar and maintaining a sales gallery isn't my forte. That's why I recommend Sprout Studio as an all-in-one "assistant" to help you make quick work of all those less-than-appealing activities. The beauty of Sprout is that it's a platform that allows you to tackle a wide variety of important tasks. 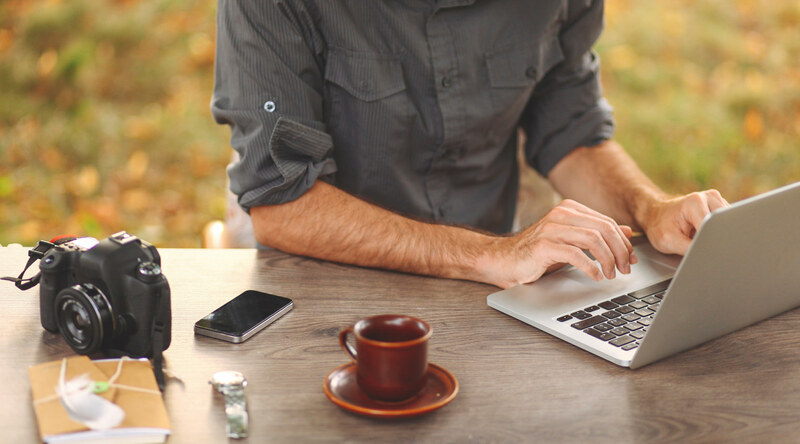 It'll help you take control of your books so you can more easily track the health of your business. You can also manage your studio more effectively by easily maintaining a calendar of events like photo shoots and organizing all your clients into an easy list. What's more, Sprout helps you makes sales with their guided sales galleries that make clients more likely to purchase prints and other products. You can also create and maintain an online gallery of your work to get more eyes on the photos you work so hard to create. Remember when I said it was an all-in-one solution? Yeah...I wasn't kidding! Even getting set up in Sprout is easy. Use the Startup Wizard to get the ball rolling, then rely on the Startup Tracking feature to ensure you're ticking all the boxes. And, if you get confused along the way, just refer to the handy email tutorials Sprout sends your way so you can learn the ins and outs of the software more quickly. When it comes down to it, Sprout Studio will make the daily operation of your business a relative breeze. With less time spent worrying about your books or messing around with your online galleries, you can spend more time taking photos, editing them, and interacting with clients. That's not a bad deal at all! So I've given you a great tool for impressing your clients with the manner in which you present their prints. I've also showed you some great software for taking care of business. When it comes to getting people in the door in the first place, what better way than to create stunning, professional-looking marketing videos all on your own? It's no secret that video is where it's at these days. The growth of YouTube and features like Facebook Live are proof positive of that. Create short videos that show off your images with a variety of collages and layouts that make your photos shine. Add tidbits of information to your videos with easily incorporated text overlays. You can even adjust the timing and pacing of each segment of your videos to maximize impact. Better still, use Animoto to create your own videos, like a documentary of how you work to show your clients your process. You can even make videos of your sessions with your clients to give them an added behind-the-scenes look as you work with them to create lasting memories. In that regard, Animoto isn't just a marketing tool, it's a means by which you can add more value to what you offer your clients. 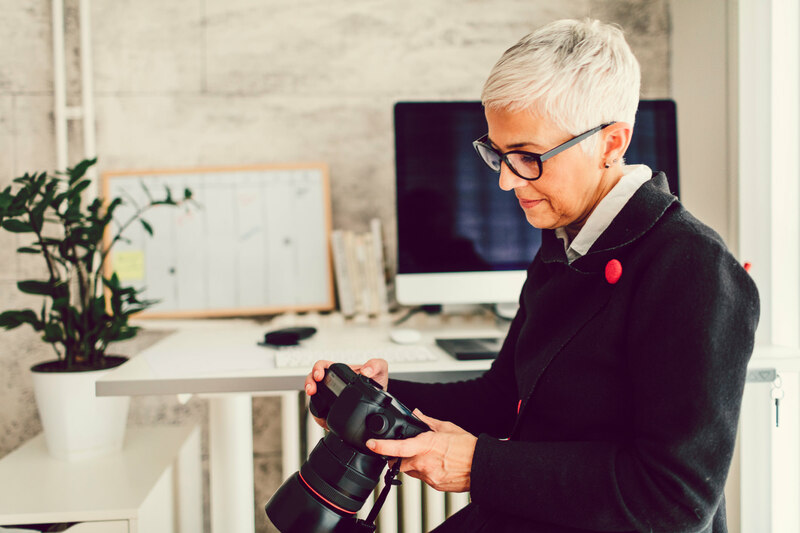 In the end, being a successful photographer isn't just about your talent or your people skills; it's also dependent upon your ability to market yourself, presenting your work in eye-catching ways, and maintaining an organized system of managing your business. It's a tall task, for sure, but the tools outlined here will help you build a better photography business and reach your goals.